When word came out that Square-Enix was about to make a major announcement regarding their next release in the Dragon Quest series of RPGs, most people assumed the game would be coming to one of the home game consoles. Speculation began as to which console would be the lucky recipient of the game, with Microsoft's Xbox 360 thought of as the most likely candidate. 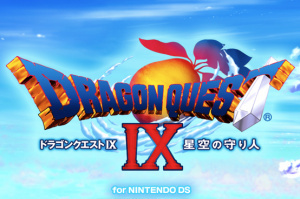 But as many of you already know, Square-Enix dropped quite a bombshell on the gaming community with the stunning announcement that Dragon Quest IX wouldn't be coming to one of the home game consoles, but instead would debut on Nintendo's portable DS system. Of course next came the wait for what many RPG enthusiasts are already calling the single biggest portable RPG release in history. Well that wait is about to officially be over - at least for some. For those of you who aren't aware, the much-anticipated Dragon Quest IX will be released on the Nintendo DS system in Japan on July 11th. What makes this such an eventful release is that this marks the first time that one of the major RPG franchises will make its debut on a portable game system. Not only that, but anytime you have a Final Fantasy or Dragon Quest release, you can pretty much expect lines around city blocks outside of popular Japanese game retailers as fans flock to pick up their newest dose of RPG goodness. While Square-Enix has kept a fairly tight lid on information regarding Dragon Quest IX up until now, we're finally beginning to see a steady stream of screenshots and information pouring out as the Japanese release date draws near. We're hoping this means we'll finally begin seeing more information and assets released for the US version of the game that's being localized for release outside of Japan as we speak. We'll of course be importing the Japanese release of Dragon Quest IX next month and we'll be bringing you our impressions of the game in order to give you an idea of what you can expect when the game finally sees a US and European release. We'll also keep you up to date on any new information and developments regarding the game as they become available. Hopefully the wait for this highly-anticipated RPG release won't be too much longer. I cannot wait for this game. Dragon Quest is my favorite RPG franchise ever! I'm pretty stoked about this one myself. Machu: AFAIK yes. They initially planned for an ARPG but realized that people buy Dragon Quest precisely because it is still an old-style jRPG. Pity this isn't also on the Wii, but hopefully DQ X will be? In the meantime I'm happy for any of the older ones to get a VC release...please? Add another one to my growing DS RPG buy list. Whoop-dee-freakin'-doo. It still looks lame to me. I'm looking forward to this. I do hope that it doesn't feel as archaic as previous titles, but i doubt much has changed. God I want this game so bad that I can taste it! Mmm, tastes like slime! This is my most wanted game on any console right now! Awesome, hopefully it will make out of Japan by the end of the year. THE DAY JAPAN STOOD STILL! well i can't wait for it! like oldfashioned turnbased RPG. The import copy I preordered was $69.90. That's not even including the UPS shipping to the US. I hope you can read Japanese LOL. I swear I read that too and that was awhile back. I cant wait to play this but Im not paying that for it. It will NOT sale great with that kind of price tag her in the States. I would pay it here since its Dragon Quest I'd say the two cartridge's has something to do with it. I'm sure its gonna be a great game. @slapshot82: Don't worry about the price unless you plan on getting the import like Corbie did. When it comes out here in the U.S. I'm pretty sure it will be $39.99 like most SquareEnix DS games. Or do you guys know something that I don't? WHOA! Two cartridges, seriously?! Wow, that is going to be awesome and expensive! Oh well, I really love Dragon Quest so I better start saving some money for this one! I don't read much Japanese, but I have a friend who does to get me through enough to write some impressions. This looks.... AWESOME! I'm not going to lie this is the game I am waiting for. Well games them selves are real expensive in Japan a long with everything else. The most it'd be here if its two cartridges should be $50 but that seems steep for the DS. The screen shots are amazing too. I'm guessing it will be in the $49.99 range. I can't see Square-Enix dropping this at US retail for anything above that, especially not in the $65-$70 range.